I recently received an anonymous letter: “That’s how you repay us for letting your parents in, by campaigning for more refugees to come here?” the writer asked rhetorically, before explaining that Jews know “how to play the race card” and look after themselves while others have no protection against what these foreigners might do. The great majority of Jews see the situation in precisely the opposite light. Our own historical experience confers on us a powerful obligation to assist those now suffering the horrors our ancestors knew only too well: the tightening noose of hatred, the inescapability of violence, the virtual impossibility of obtaining papers, the impassability of borders, the feeling that no one wants you, the separation from loved ones, perhaps forever, the loss of everything familiar, the humiliation of being utterly deskilled. “For you have known the soul of the stranger”, says the Torah. “Don’t inflict on others the wound you yourself have suffered,” comments Rashi, quoting the Talmud. “What do you want; what can I get you?” a friend volunteering in Calais asked a 14-year-old boy, expecting him to answer with a list of basic necessities. “I want my mum”, he replied. It’s the most basic need of all. My friend wept as she recounted the incident. It’s that sense of compassion and responsibility which made so many respond so generously to the appeal led by Safe Passage for funds to bring to Britain all the children in Calais eligible under the Dublin 3 agreement to be reunited with family already in this country. That too is what motivated Lord Dubs to campaign so passionately for 3,000 further children to be allowed into Britain. He himself was one of the 669 children saved by Nicholas Winton. Had the latter still been alive, he would have been proud of his protégé. When the first of the so-called “Dubs” children finally arrived in England, Lord Dubs simply wept. The situation is desperate. Many children were finally registered amid the debacle of the demolition of the camp at Calais. But reaching Britain doesn’t mean an automatic end to their torment; it is essential to ensure that they are safe, cared for and helped to gain an education. Across the camps in northern Greece, where there are thousands of children, many without family and at risk from traffickers, winter is setting in. Beyond Greece, in Turkey, Jordan and the Lebanon the number of refugees is on a different scale entirely. 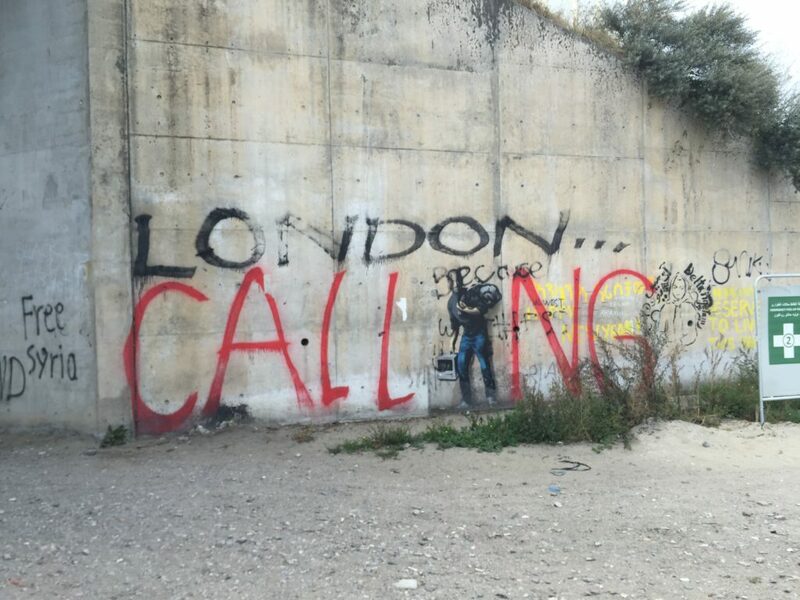 Furthermore, one crisis is liable to make one forget others; there are destitute asylum-seekers sleeping rough across London and the cities of Europe, not allowed to work, with nothing from which to live. “What can we do to help?” I’m asked daily by members of my congregation. It’s a question I’m glad to hear; there’s always the danger that the vastness of the suffering makes us feel powerless to do anything. It’s vital to remember that “whoever saves one life saves the world,” and whoever protects one child creates in their heart a world of hope for the future. There’s much we can do. “Gemilut hasadim (deeds of lovingkindness), are greater than tzedakah (charity),” argues the Talmud, because in the former we give of ourselves and our time, in the latter we only give money. In truth, both are urgently needed. World Jewish Relief works with refugees in the UK and abroad. Help Refugees is working to provide food, waterproof shelter, blankets and warm garments for winter. The Refugee Trauma Initiative offers psychosocial support to individuals and families to manage the impact of the horrors and torments they have suffered. Here in Britain, Refugees at Home connects people with a spare room at home to asylum seekers and refugees needing accommodation. The Jewish Council for Racial Equality provides one-to-one befriending for vulnerable young asylum seekers who’ve reached the UK without parents or a guardian. The Government Community Sponsorship Scheme enables community groups including charities, faith congregations and businesses to support refugees resettled here. The small initiative, Ourmala, offers yoga therapy so that people who’ve experienced torture can finally sleep at night once again. The website www.supportrefugees.org, respected and used by organisations outside the Jewish community, lists ways we can help. There’s much we can’t do. We cannot alone overcome the hatreds which lead to sectarian wars. We cannot prevent the proliferation of appalling weapons. We cannot alone halt the environmental degradation which forces more and more people to flee the land which once provided their livelihood. Yet none of these are issues we can ignore. Above all, we cannot stand idly by the suffering of others. While it is right and essential in an age of global terror that the Home Office appropriately checks the identity of everyone entering this country, we must campaign for Britain to be the land of compassion it has so often in its history proved to be, both for its citizens of every faith and walk of life, and for refugees. The wellbeing of tens of thousands of suffering people is at stake. So too is our own humanity.